Red chilli powder ......... 1 tsp. 1. In a pressure cooker pour a little oil, saute the ginger, onion for 2-3 minutes. 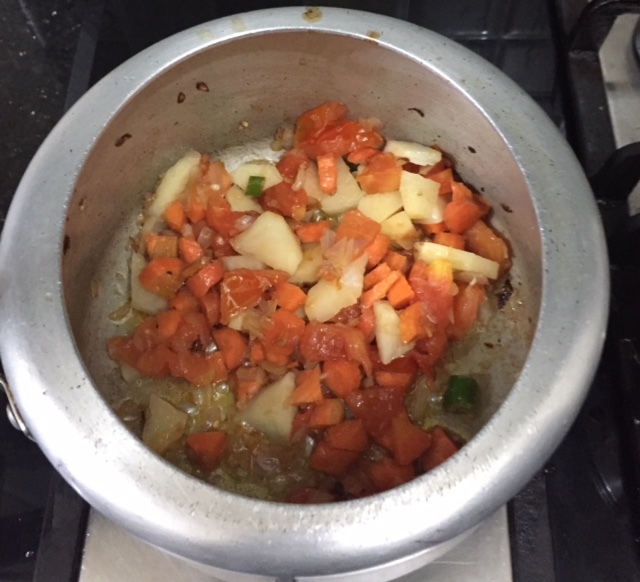 Add the chopped potato, carrot, green chilli and tomato, stir fry for 2 minutes. 3. 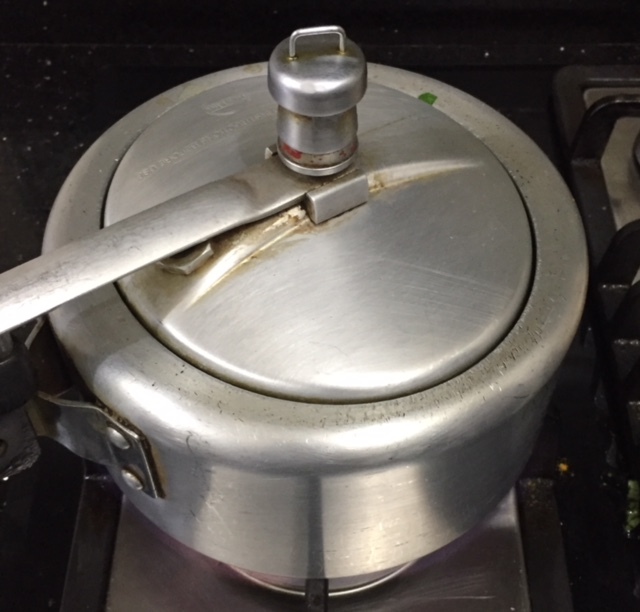 Close the cooker and cook for 4-5 whistles. Allow it to cool before opening. 5. Heat 2 tbsps oil in a small pan. Add 1 tbsps of crushed garlic. 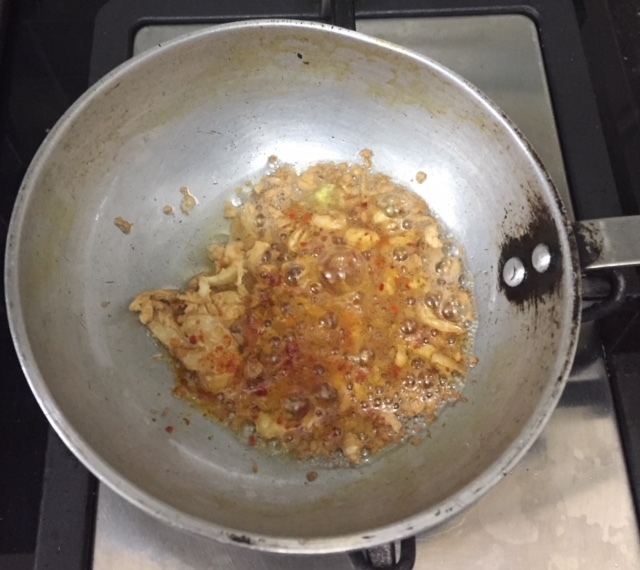 When it is golden brown switch off the gas and add a pinch of red chilli powder. 6. Stir it into the palak. Har kisi ke haath ka ek alag hi swaad hota hai ....aur acha hota hai. Cooking ka to bas mera shauk hai ..so main apni recipes sab ke saath share karna chahati hoon. 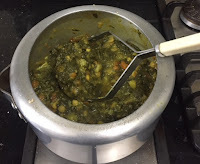 I am so glad...you visited my blog...tried out my recipe...and liked it. We miss you guys a lot. I sure will continue posting recipes regularly. 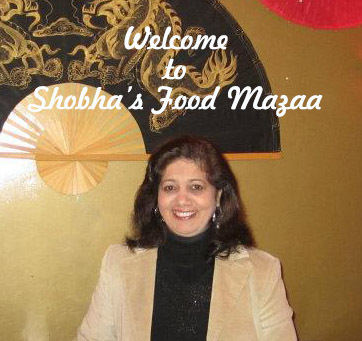 wow...nice pic with great recipe Shoba.. Thanks for the lovely entry. 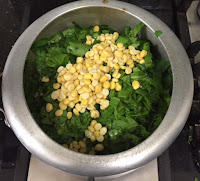 Loving all your spinach recipes Shoba. Thx for linking to the event. So happy to hear that Leila.. you made my day ! This dish is my childhood fav! 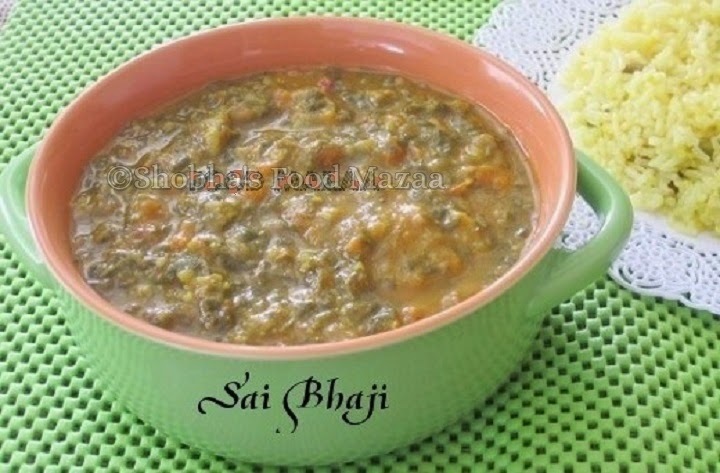 Do you not use any dill or anything khatta in your sai bhaji? I've never made it without but now that Ive seen this, I will try it. I don't like the dill flavour .. so I skip it. This sounds like a delicious dish . 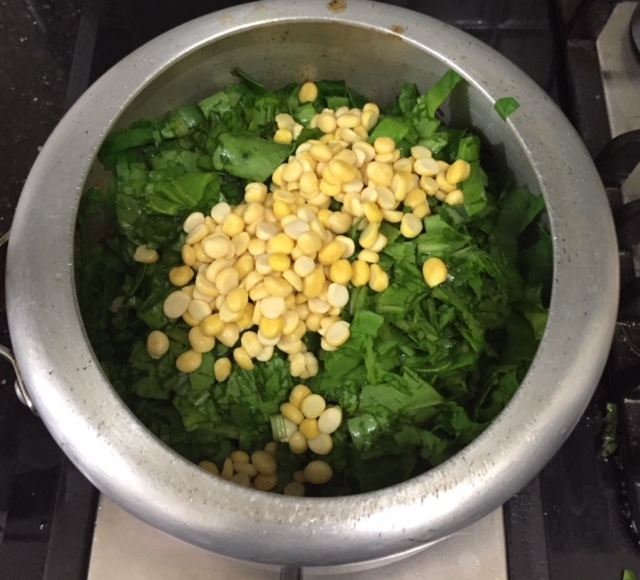 I love spinach /dal combination. 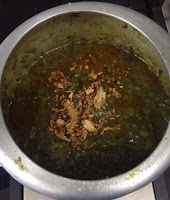 Thanks Nayna.. this is a traditional Sindhi recipe.. I make something very similar to this, and it's such a good way to use spinach. Thanks Dannii.. it surely is nice and healthy way.